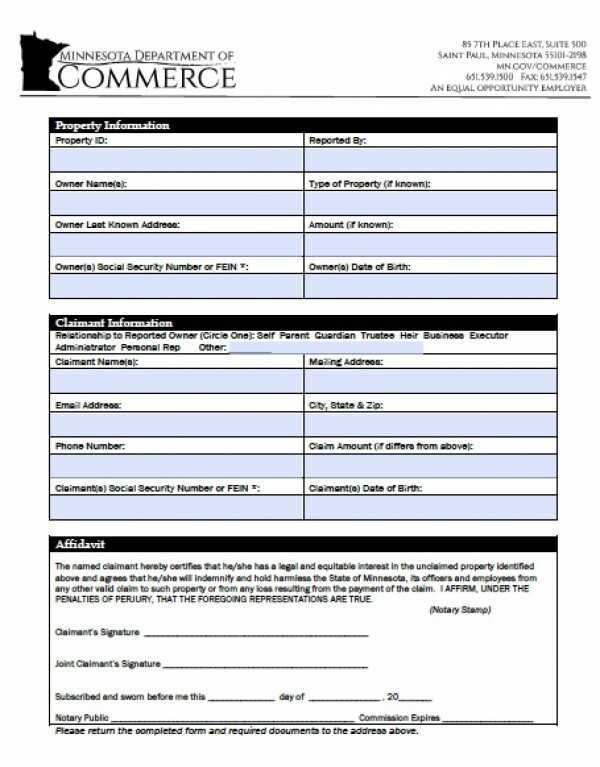 In most states, the affidavit of heirship allows relatives or other successors to collect personal or real property, rather than go to probate court to distribute an estate that is small enough. Minnesota defines personal property in a small estate as valued at $20,000 or less – anything larger will go automatically to probate court. 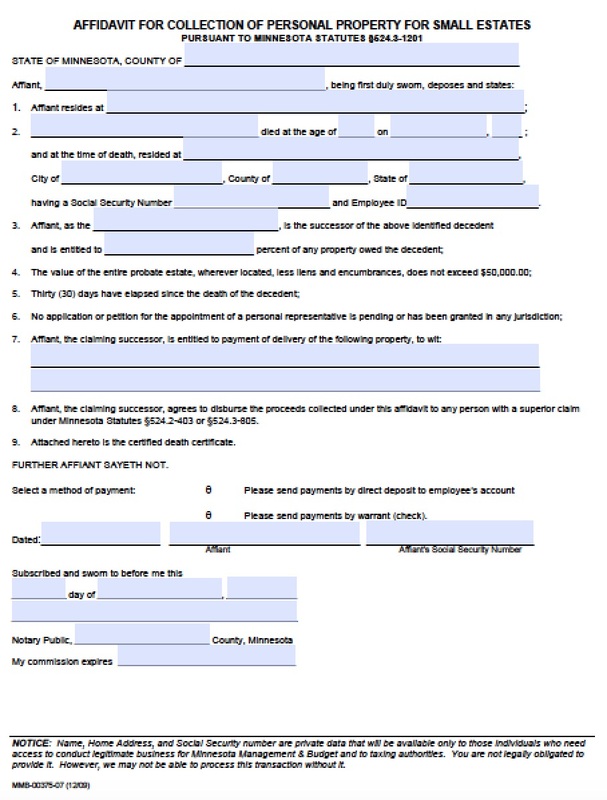 Successors must wait at least 30 days after their loved one’s passing before filing the affidavit of heirship, according to Minnesota statute Minn. Stat. § 524.3-1201.